Are you crazy fans of fire and water (ice) style game ? Fall in love adventure maze game and remember it from childhood ? One of best game puzzle adventure, One of best Maze game ! Fireboy and his lover (Water Girl - Ice girl) , who go with him, is a puzzle adventure game for two players. It's an addicting and very fun to play with your kid, your lover or your friend. Lava Boy And Blue Girl Adventure is one of the most addictive and entertaining free game ever made with great game quality, download now and experience the joy of jumping the hurdles through the amazing world of fıre and water! One of the most addictive and entertaining jumping and adventure game ! And it's free! 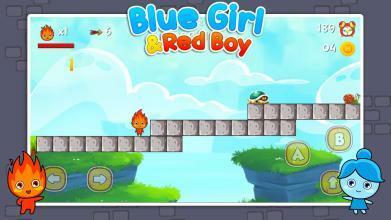 Lava Boy And Blue Girl Adventure is an breathtaking easy control game , so start playing !!! It's an addicting and very fun to play with your love or your lover or your friend. get a big scores and dare your friends!! Lava Boy And Blue Girl Adventure FEATURES: Nice character fire boy is Lava boy Nice character blue girl is water girl Always support .All levels are updating frequently Classic gameplay from web Beautiful and cute graphic with fire and water. Game story bring the feeling of love and hope. 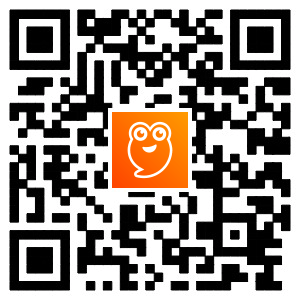 New gameplay of puzzle adventure game. New and nice challenge level design. Download Lava Boy And Blue Girl Adventure : The Light Temple now! 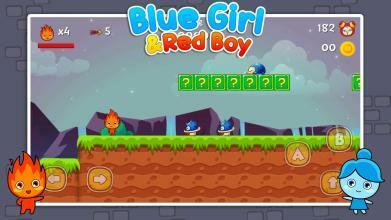 Help Lava Boy And Blue Girl Adventure get through each level quickly in this challenging y8 game. Do not waste your time, and get started your journey right away! Are you crazy fans of fire and water (ice) style game? Fall in love adventure maze game and remember it from childhood? One of best adventure puzzle game, One of best Maze game! Fireboy and his lover (Water Girl), who's a puzzle adventure game for two players. It's an addicting and very fun to play with your kid, your lover or your friend. Lava Boy And Blue Girl Adventure is one of the most addictive and entertaining game ever made with great game quality, download now and experience the joy of jumping through the amazing world of fire and water! One of the most addictive and entertaining jumping and adventure game! And it's free! 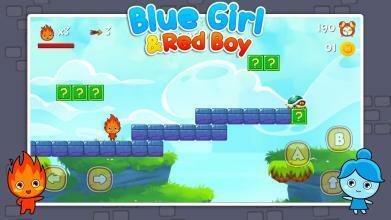 Lava Boy And Blue Girl Adventure is a breathtaking easy control game, so start playing !!! It's an addicting and very fun to play with your love or your lover or your friend. get a big score and dare your friends !! 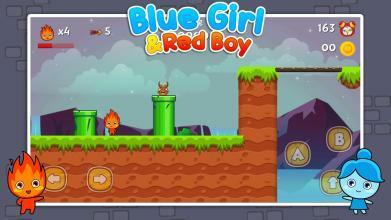 Lava Boy And Blue Adventure Girl FEATURES: Nice character fire boy is Lava boy Character Nice blue girl is water girl Always support .All levels are updating frequently Classic gameplay from web Beautiful and cute graphic with fire and water. story story bring bring bring bring bring bring bring New gameplay of puzzle adventure game. New and nice challenge level design. Download Lava Boy And Blue Adventure Girl: The Light Temple now! 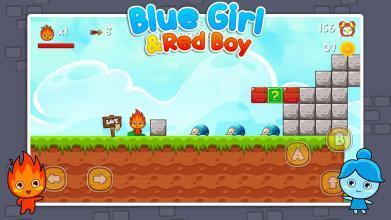 Help Lava Boy And Blue Adventure Girl get quickly and easily through this challenging game. Do not waste your time, and get started your journey right away!